It’s been a particularly crazy few days. There were the demonstrations – one at the Capital Home Show, and two at Strosnider’s Hardware Store. I was crazy busy making lists, packing up vast amounts of kitchen equipment, and practicing Apple Pie Jam so I could make it in the hour allotted. anyone know what this plant is? 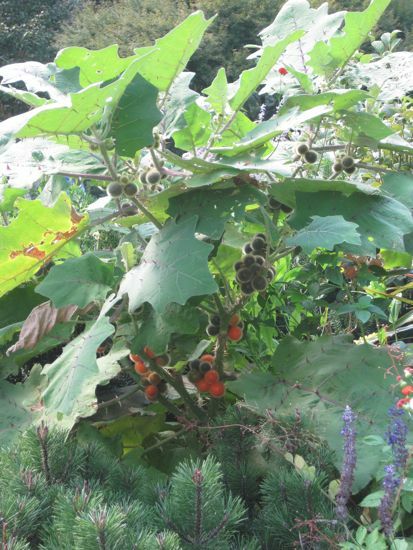 huge, spiny, and those fruits! But a busy weekend also means I forget to eat well and suddenly I’m starving and completely depleted. That’s when I reach for these delicious almonds. 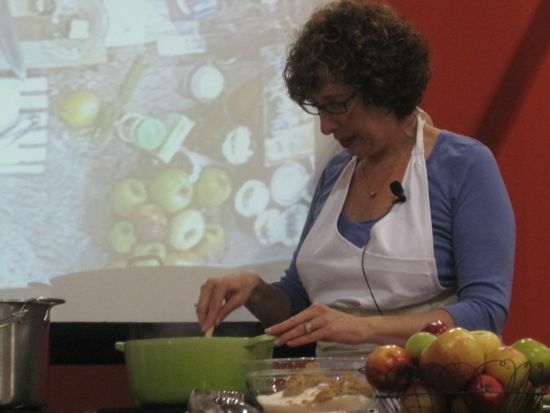 Is there something you make all the time – a staple in your kitchen? If you’re anything like me, you’ve got a few recipes up your sleeve that seem so simple, so much a part of your routine, that when someone says “Wow, these are great!” it comes as a huge surprise. That’s the way it was with these Tamari Almonds. 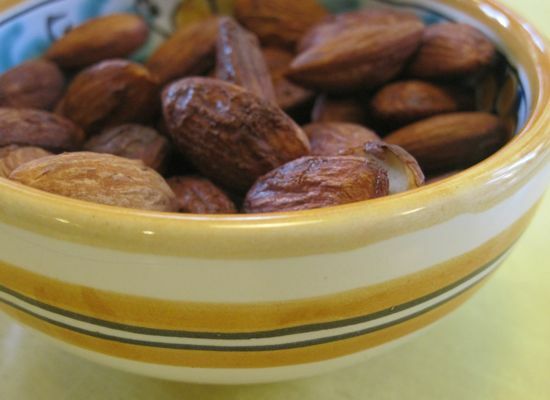 During my recent Tomato Canning Class, one of the attendees, Rivka (you really should be reading her excellent blog – start with her terrific write up of the class,) went a little crazy for the Tamari Almonds. In fact, she said they were blog-worthy. Who knew? Need I mention how healthy almonds are? I’m sure you know they help reduce cholesterol. They provide a really healthy form of protein. They are said to be great for your complexion. And they taste great. So, before your week starts to get crazy, take 20 minutes to make a batch of these almonds and you’ll reach for something super healthy in your hungry moments. 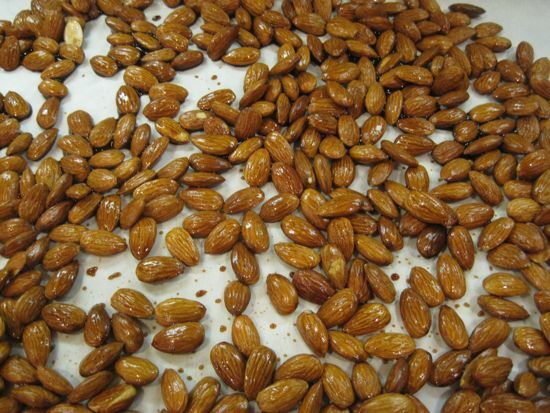 Toss the almonds with the tamari until they are well coated. Spread the almonds out on the sheet pan and allow them to dry a little while the oven heats up. 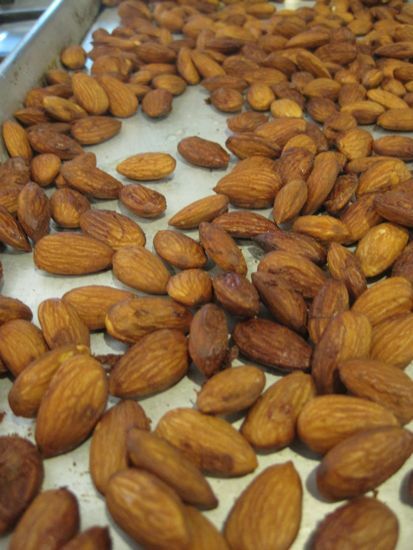 Toast the almonds in the center of the oven for 18 minutes. Remove the pan from the oven and loosen the almonds from the parchment paper using a spatula. Remove the paper and spread out the almonds on the hot sheet pan, shaking well. Pop them back in the oven for two minutes to dry out a little more. Remove and allow the almonds to cool completely on the sheet pan. Yeah, I keep homemade granola around all the time in my kitchen. It is great as a snack, to add to yogurt, or just to eat with milk. The ingredients are totally variable so if I have just dried my own fruit, I can add that or whatever kind of nut I like. Will try the almond recipe when I get a chance. We get marcona almonds at the restaurant that I work at, might try it with those. I love these almonds. The only drawback is that eating them endlessly adds a lot of calories. Otherwise — just plain yum. They make nice gifts when you show up somewhere too… just a little ribbon on the bag is all it takes. Though I have lived in NYC for nearly 30 years, I grew up going to Strosnider’s Hardware when they still had the bins for all the specific little whatever-you-might-need items. Lovely to think of you there. I look forward to making a batch of the almonds but first I’m going to try the tomato soup. I don’t have a pressure canner how long will it keep frozen? It should hold in the freezer for three months or so. Hope you enjoy it! Good post. I learn one thing more challenging on different blogs everyday. It can at all times be stimulating to read content from different writers and follow a little bit something from their store. I’d want to use some with the content material on my blog whether or not you don’t mind. Natually I’ll give you a hyperlink on your web blog. Thanks for sharing.